Our 24-hour emergency service - vets always available on the phone and in person. Emergencies happen. When they involve your pet, you will want quick access to medical attention by professionals who care. You will not want to call someone who does not know your pet and then have to travel miles to find somewhere you have never been before to see someone you don't know. We are available on the telephone and in person 24 hours a day, 365 days a year. If you are concerned about your pet and think it may be an emergency, call us to discuss it as soon as you can. One of our vets will answer your call and advise you of what you need to do. 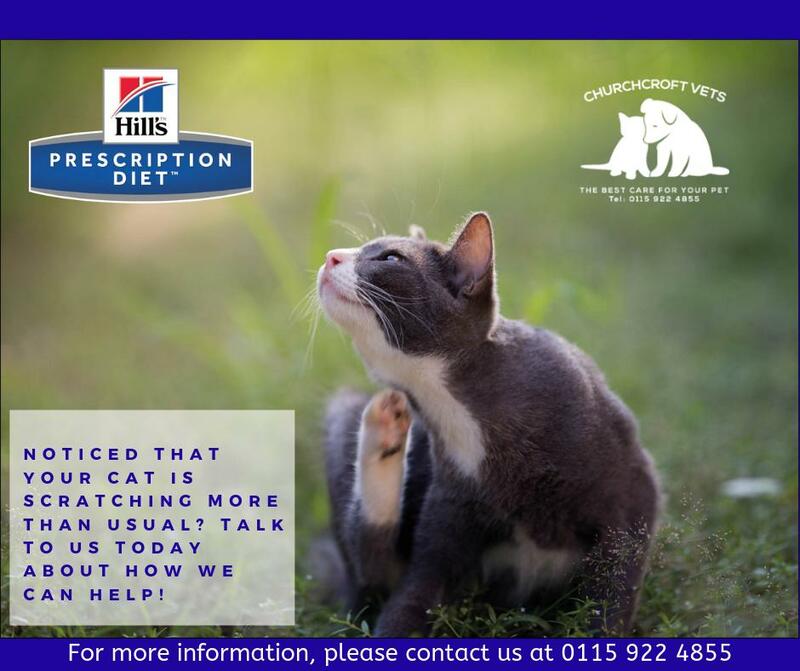 Simply call 0115 922 4855 or 07971 072 201 and wait for the call to divert to the vet on call which will usually be George or Jon. Unlike most practices in the area we cover our own emergencies. 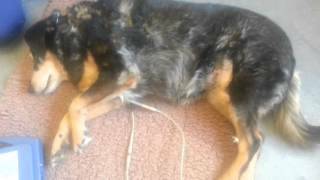 This means that if your pet becomes ill, we will answer the phone and see your pet 24 hours a day 7 days a week. You and your pet will be seen at the practice you are familiar with and where we know you. If your pet is hospitalised with us, they are not farmed out to a remote practice for overnight care as we believe continuity of care is very important and that it is unfair to move sick patients around. Patients are looked after overnight by whichever of our vets is on duty - this may entail intermittent checks or continuous care depending on patient need. Churchcroft patients needing urgent attention outside of normal working hours will be seen by their own vet at their own practice thus reducing the stress of the event. As well as being convenient, this also ensures that your pet's medical records are available to the attending vet. ALWAYS PHONE FIRST. There may be some important advice that the vets can give you on the phone before you come down. If the duty vet advises you to come down they will arrange a time to meet you. The vets are not waiting at the practice overnight in case an emergency arrives. You must call to arrange an out of hours appointment. It is very rarely sensible for the vet to come away from the practice to examine a pet in an emergency. 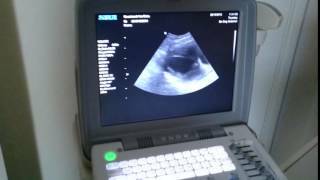 Without all the equipment available at the practice there is a significant reduction in what can be learnt from the examination and the vet will not be able to bring all the possible treatments that might be needed. PLEASE RESPECT OUR NEIGHBOURS. To ensure no disruption to our neighbours, when arriving on a Sunday or Bank Holiday or on any day after 7pm please park on the road opposite the practice next to College House School where parking is unrestricted. Please ensure that dogs get out of the car and into the surgery quietly. If you think your dog will cause a noise on arrival please tell the vet in advance so they can arrange to minimise this annoyance to our neighbours. Out of hours treatment is more expensive. Please be aware that an extra charge will be made for pets seen outside of normal working hours. Please check these charges with the vet before coming in if these may be a problem for you. We reserve the right to charge an additional fee for patients who have not been visitors previously to Churchcroft Veterinary Centre. Normal pet insurance will cover the extra cost of out of hour’s examinations in the case of a genuine emergency. They usually will not cover the cost of examinations that the vet does not consider an emergency. Insurance only covers home visits if there was a major risk to the pet in moving it (extremely rare). Over the course of the last 18 months we have experienced a change in applicants for veterinary positions in the UK. We have found that it has been impossible to find veterinary staff willing to cover out of hours work in addition to their daytime hours. This is in part because there is a drive in the veterinary profession to reduce the stress of the job and protect the mental health of veterinary surgeons. As a temporary measure we have organised for a specialist practice to cover SOME of our Out of Hours work. George and Jon aim to continue to cover almost all weeknights and some weekends but there will be occasions when the specialist practice will be on duty. In these circumstances our phones will be diverted to the specialist practice. 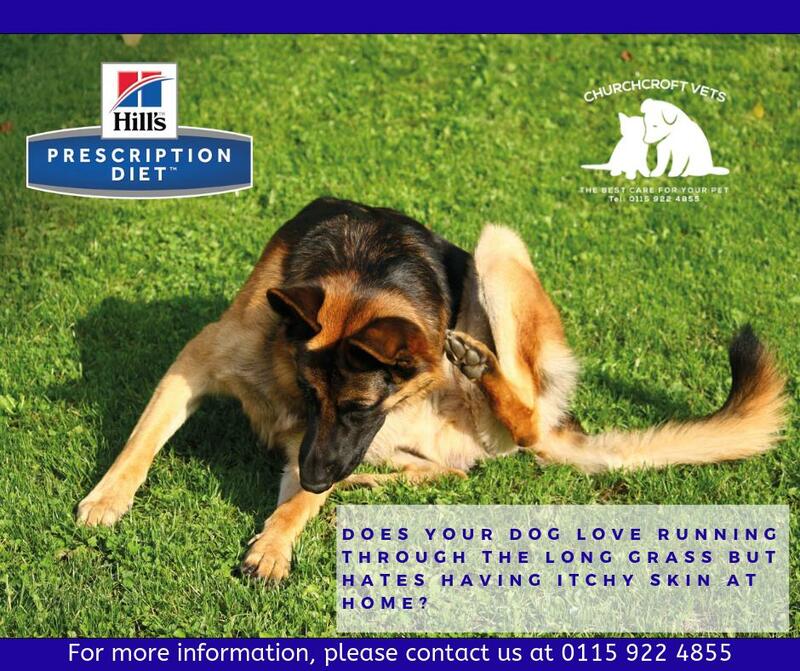 We have partnered with PRIDE Veterinary Centre. This is very conveniently located just off the A52 and as well as having specific night vets who are always on site, also has specialists in medicine and surgery for the more complicated cases. We are taking steps to ensure that we can get relevant medical history to the attending vets even out of working hours so that the very best care can still be delivered to our patients. We intend to continue to care for hospitalised patients at Churchcroft except in exceptional circumstances where a very high level of continuous care is vital. In these cases we may arrange transfer to Pride Veterinary Centre. Moving forwards we plan to engage staff specifically for Churchcroft who will see our clients Out of Hours at our surgery even when George and Jon are not available. We hope to manage this by 2020.